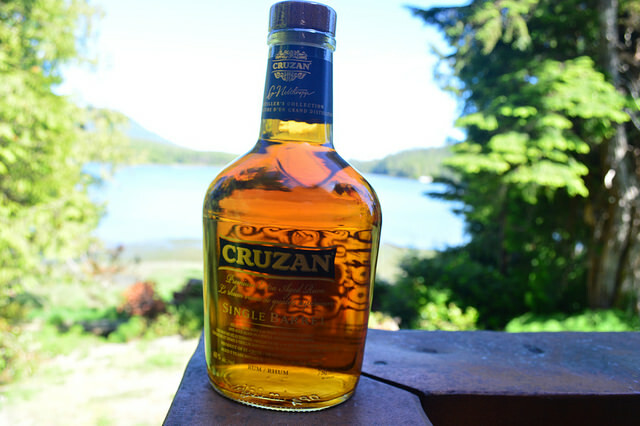 In our short stay in Ucluelet, which is on the west coast of Vancouver Island in British Columbia, we went to a Liquor store and picked up a bottle of Cruzan Single Barrel Rum, which we thought was a good deal at the time. Unfortunately I wasn’t able to double check what the online reviews were on this rum, which I later found out wasn’t very good. Sadly their marketing got me…. I later posted on the “Ministry of Rum” group on Facebook, to find out more about this rum. Some of the comments that I got were; that the rum used to be better, and that wood chips might have been used as part of the aging process. A few questioned whether all of the rum actually originated from St Croix. The only consolation was that it has no added sugar. I guess if rum was tightly regulated, I would have known exactly what is in the bottle! 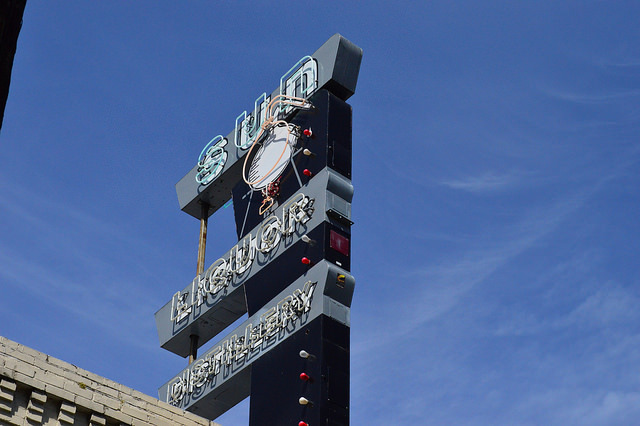 On a day out in Seattle, we visitor the Sun Liquor Distillery shop, located on Pike street. They had a white rum and an aged rum on sale, which we were able to sample. Unfortunately we didn’t buy either, firstly due to the fact that we would have reached our combined spirit bottles custom allowance, and secondly, the person couldn’t tell us much about the rum, but we guess that they were more of a shop assistant rather than a Sun Liquor rum ambassador. We tried to book a tour of the distillery, but unfortunately the owner was not available on the days we were there. If we had to pick one rum, we would have gone for the aged rum, as we liked the aged agricole taste, which was a bit different from the Martinique type aged rhums. The white rum was more of a cocktail rum, rather than a sipping one. You can find out about their rums here: http://www.sunliquor.com/. On returning to Vancouver BC and before taking the plane back to London, we made a mandatory stop at the duty-free shop at the airport, to see if they had any interesting rums. 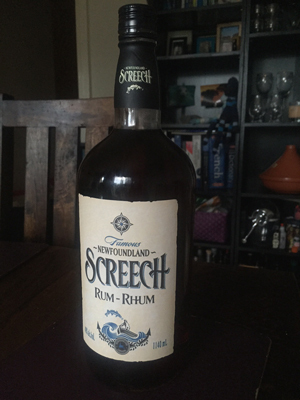 We found the Newfoundland Screech Rum, which we bought, as it was a rum that we’ve never heard of before, and the couple of reviews that we found online about the juice, were quite positive. They unfortunately had a very limited choice of rums, and the only other rum option was our good old friend Ron Zacapa 23, which seems to be in nearly every spirit shop! The Screech rum was pretty cheap, the big 1140 ml bottle cost us only $30, which was around £17. 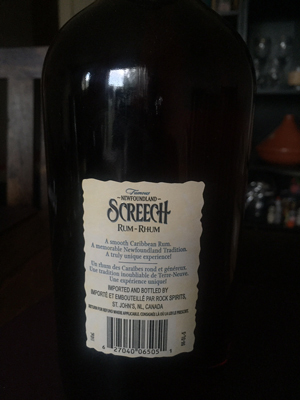 Screech rum is distilled by J Wray & Nephew (Appleton), and bottled at 40% ABV. 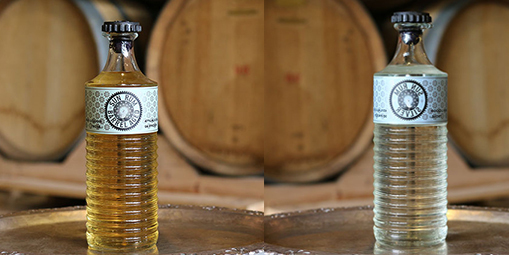 The rum is full of flavour, typical to a high ester Jamaican rum, and we got some of the tasting notes listed above; such as caramel, oak, ripe fruits, some smokiness, and a medium finish. It is a decent rum at this price, and we like it on the rocks, or in a traditional cocktail. Until our next post, keep rumming!